Why produce a soundtrack only after you finish filming? And not the other way around? 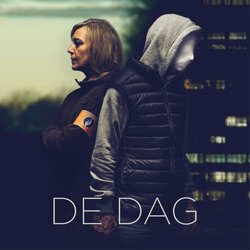 The critically-acclaimed original soundtrack to ground-breaking Belgian series ‘The Day’ was composed by Roundhouse & David Martijn before the filming even began. The highly original concept and script of ‘The Day’ was written by Julie Mahieu and Jonas Geirnaert. Writing the music was a collaborative, creative process; David’s music inspired Julie and Jonas in the last stretch of finishing the script. Even directors Gilles Coulier and Dries Vos effectively took the music as a guiding principle while filming. The music inspired the tempo of the camera movements or lead the emotions of the actors. It’s just fascinating to see how defining a soundtrack can be. David Martijn (1980) is best known as the guitar player & electronic musician of the award winning Belgian electro rockband GOOSE. In 2004 he was recruited by Soulwax for the world tour of their record “Any Minute Now”. David is apart of the creative collective Safari Studios, operating from their very own recording studio in his hometown Kortrijk (BE). Throughout the years, David has become one of Belgium’s most renowned synth aficionado’s. In ‘The Day’ a hostage situation is being played out from two sides. The original AB-structure - causing a slow, claustrophobic and hypnotising tempo - was mirrored in the music. The result is a distinct musical identity, instantly recognizable and far away from classic Hollywood scores. An electronic score that sounds organic and human. Beautiful melodies with a raw, dark edge.